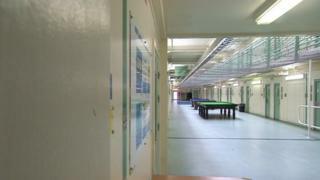 New tactics to deal with crimes inside Doncaster's prisons have seen offences "cut by half", a Police and Crime Commissioner has been told. Police have trained prison officers in preserving crime scenes, taking statements and "disrupting criminals". The "benchmark" scheme has led to the creation of a police and prisons team with "expert understanding". Commissioner Dr Alan Billings said the "public may not realise crime goes on in prison as well as outside". All of South Yorkshire prisons - HMPs Doncaster, Moorlands, Hatfield and Lindholm - are in the Doncaster area and have historically placed a strain on local police. A meeting of South Yorkshire Police and Crime Commissioner's Public Accountability Board heard dealing with issues at the sites accounted for 10% of all police resources, the Local Democracy Reporting Service says. But a rethink of how police handle the incidents, along with the prison service, has produced results that were described at the recent National Prisons Conference as a "benchmark" for how police support prisons. Changes included a police prisons team with expert understanding of the type of crimes being committed in and around prisons. The police's crime training department has created a course for prison officers showing them how to perform tasks that would have previously fallen to police officers. Doncaster's area commander, Chief Supt Shaun Morley, told the board: "There has been a 50% reduction in numbers of crimes and issues that have taken place within prisons." In September 2018 it emerged there were problems with high drug use, violence and mini mobile phones at HMP Lindholme.